Exploring new recipes is one of our favorite things to do together as a family. My husband loves helping out and the kids love eating the ingredients as we go. So I’ll be sharing some of our new favorites and good old ones too very soon! But first… We love this quick and easy recipe.. Step 1: Use the butter or oil to coat one side of tortillas, then sprinkle on the ground cinnamon so it sticks. Step 2: I mix together the honey and yogurt, then apply to the dry side of the tortilla. Step 3: Chop the berries and add on top of the yogurt honey mixture… Then roll up! Step 4: I cut the rolls into halves and then place them on a plate and then put in to the freezer. Once frozen.. Place them in a freezer friendly storage option. I found a similar recipe like this when I was pregnant with my first son. This literally takes minutes to make! You can make plenty and keep frozen for the whole week even. 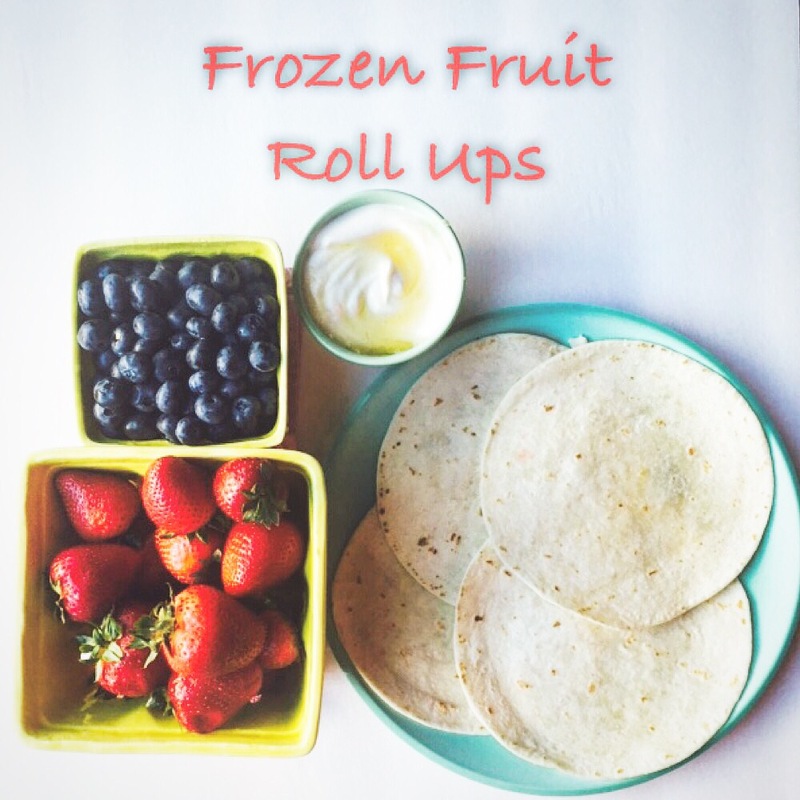 We love to grab these out of the freezer on a quick morning or even summer afternoon snack. Get creative! Use different yogurts..different fruits.. Agave nectar.. You name it! !